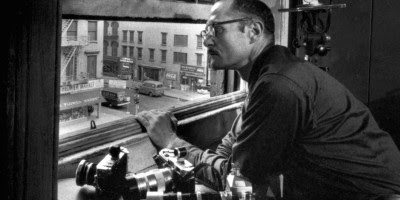 Portrait of W.Eugene Smith a photographer for Life Magazine who recorded both on film and audio tape all of the goings on in the loft and building he called home on 6th Avneue where the greats of Jazz came to jam and rehearse. The film screens Friday the 13th and Monday the 16th. For more information and tickets go here.